EWVA has followed up with Sgt Emma Pendrey regarding initiating the Speed Awareness van west of Eton Wick Road, by the cattle grid. This is promote awareness to the traffic approaching from the common/cattle grid and provide safety for the school bus. 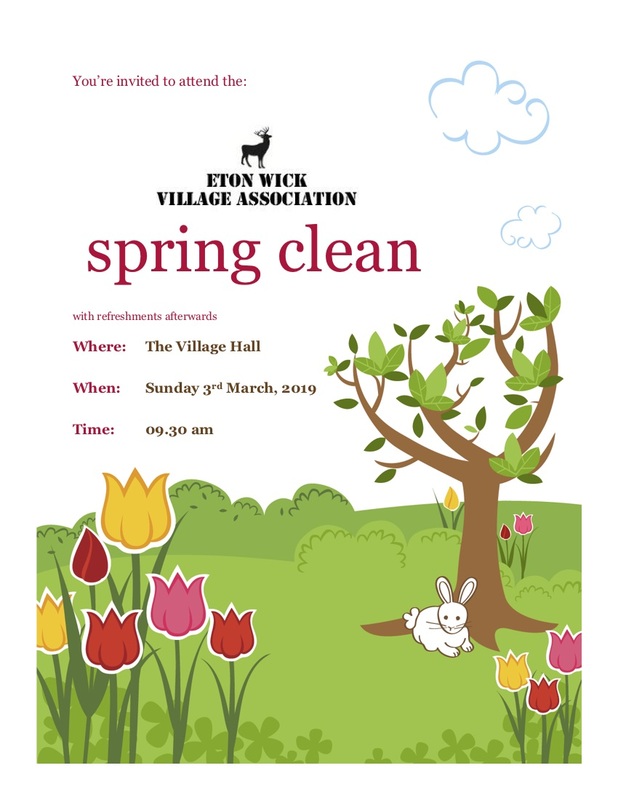 EWVA would like to let everyone know that there is an initiative from a team of Boys at Eton College, to provide a little help around the house/garden of our elderly residents. Please send me name/address/job to be done and I will ensure this is passed along to the Eton College Team. Next Meeting Date – 20th March including Cllr Rayner (achievements and ask questions) meet Jake Hynard Community Warden. We hope to see you all bright eyed and ready to litter pick on Sunday 3rd March and support our Race night fundraiser on Saturday 9th March 😊.